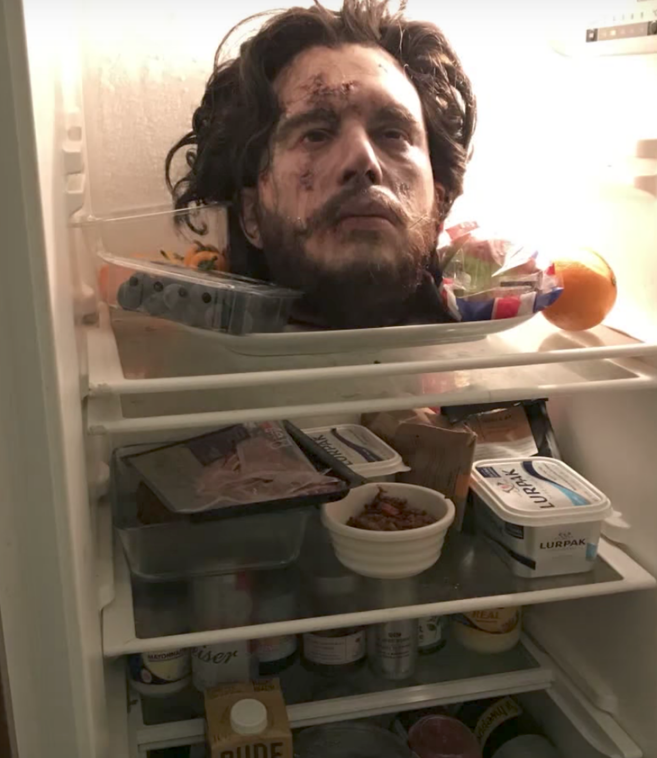 This April, Kit Harington, AKA Jon Snow, learned the one thing to never, ever do to Ygritte (played by Rose Leslie): Prank her with an April Fools' joke. "She pretty much told me that if I did it ever again, that would be it, and I think that's marriage included," Harington finished. 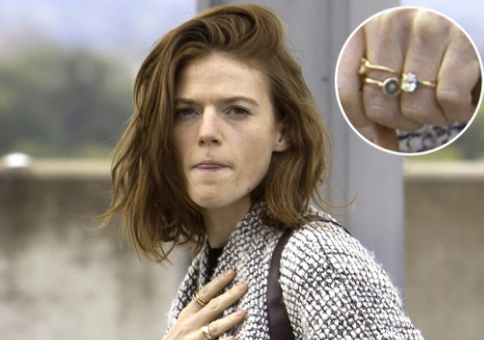 Rose Leslie was spotted out on Sunday at London’s Heathrow Airport wearing a large, solitaire oval-shaped diamond ring set on a slender yellow-gold band. She was also seen wearing it two days earlier while out in London with Harington, E! News reports. We’ve long known Harington is a master of many things — keeping massive secrets, making women swoon, etc. Now, we can add “picking jewelry” to the already-long list. The display comes nearly two weeks after the Game of Thrones actors confirmed their engagement the old-fashioned way. Harington and Leslie, both 30, made the news official with a classified ad in The Times. 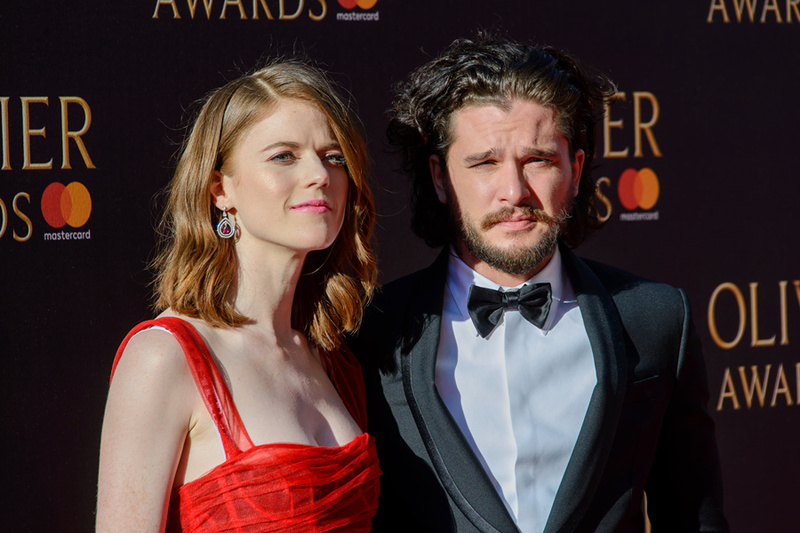 The actors first stirred up relationship rumors in 2012, just like their fictional show counterparts, Jon Snow and Ygritte. The on-screen romance sparked several memes over the years — now, fans are pleased to see a real-life engagement.